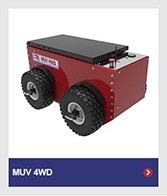 As well as the Railway industry itself, rails are often used in manufacturing processes as a method of lowering the rolling resistance of extremely heavy loads. 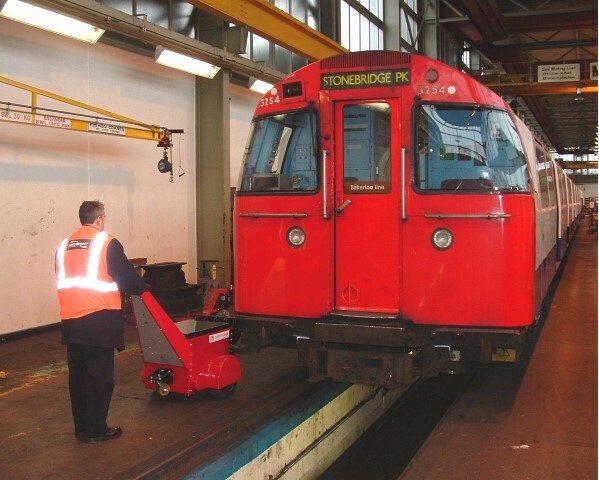 Often the rails form the basis of the production line itself and loads are moved along the rails from one build cell to the next, into and out of autoclaves and drying kilns or, in and out of maintenance workshops. 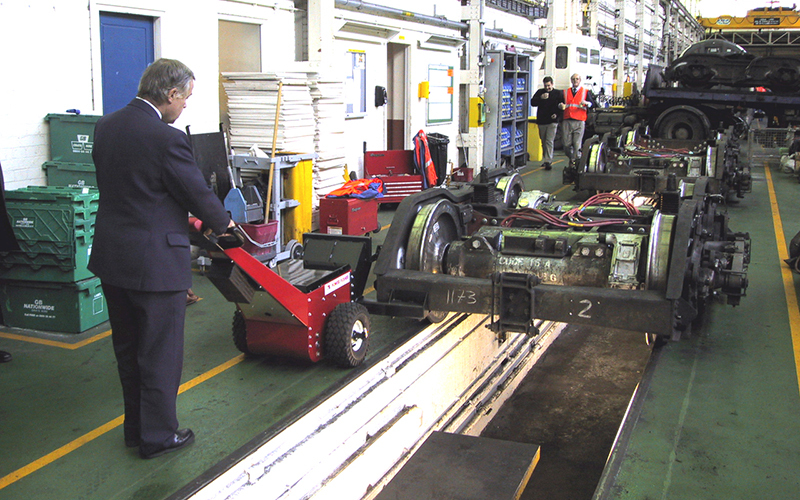 Since the wheels fitted to rail bogies, rail cars, wheelsets, transfer cars, and kiln cars are flanged, thereby preventing the load from coming off the rails or, the rail itself is designed in such a way to prevent the wheels from deviating left or right, it is possible to apply a pushing and pulling force both in the centre of the load and also offset to one side of the load. This is particularly useful when there is an inspection pit in place between the rails eg. in a railway maintenance facility. 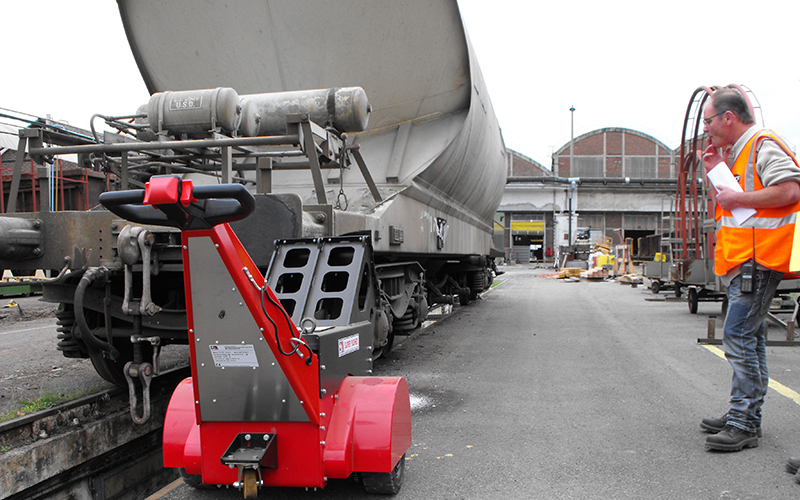 To safely move the load, it may be temporarily 'extended', either to the left or the right, by using an extension bar which then enables one of our pushers to apply a pushing force and move the load left-->right or, right-->left.